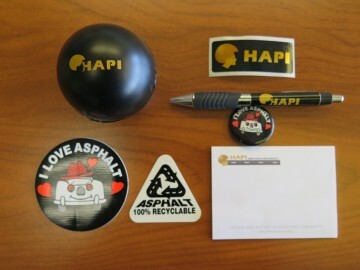 Stop by the HAPI office at 1287 Kalani Street, and pick-up a bumper sticker and other items to show your support for our asphalt industry. 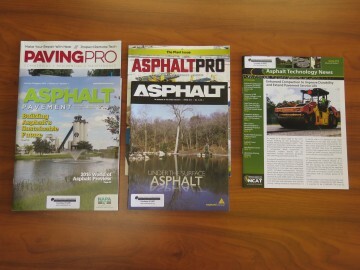 You are also welcome to help yourself to a copy of Asphalt Magazine, the magazine of the Asphalt Institute and other literature about the asphalt pavement industry. See all available items below. These items are also available at the HAPI training events and our lunch meetings. Giveaway table in the HAPI office. 25th Anniversary Brochure: In 2014, HAPI turned 25. 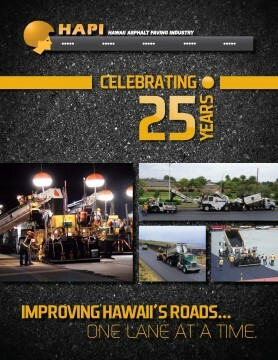 We produced a brochure to commemorate our 25th anniversary. The brochure features some of our major projects, HAPI (industry) highlights, a listing of our past presidents, and the logos of our member companies. HAPI promotional items and industry stickers and pins. 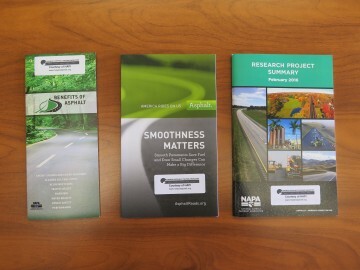 Industry handouts covering various topics. Those shown are examples of what’s available. 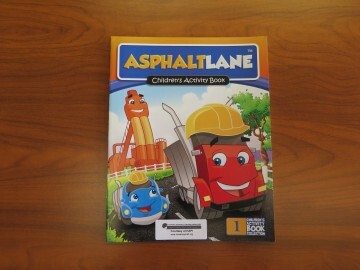 Meet Chuck the Truck & Chuck, Jr.
Asphalt Pro’s Asphalt Lane coloring book! 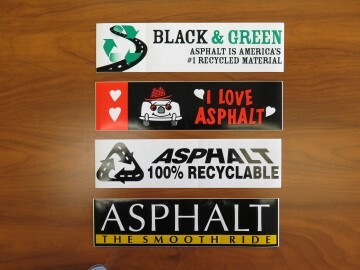 Children, and children at heart, learn about the value of asphalt roads and facilities.Coloring used to be reserved for children and the occasional adult who got to babysit them, but recently, the activity has found a different demographic. What started as a niche hobby has now turned into an international trend, as adult coloring books find themselves on more and more bestsellers’ lists throughout the world.